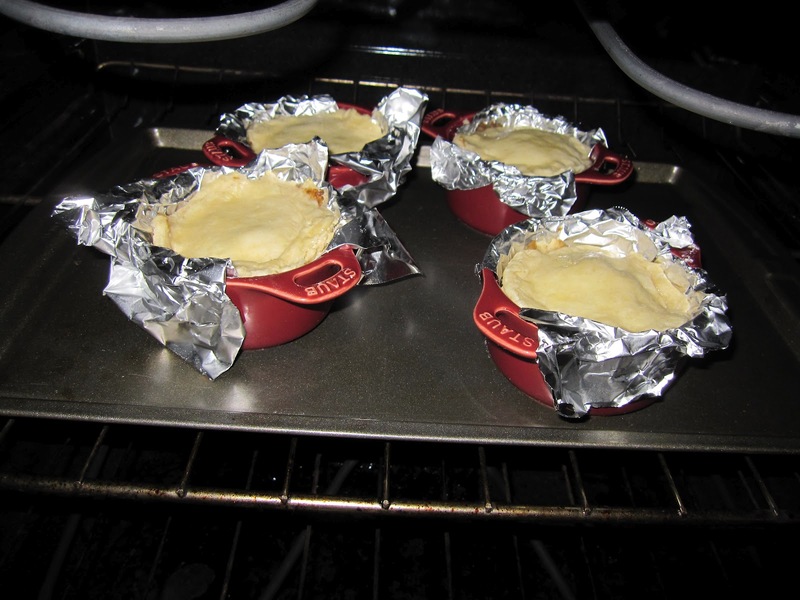 makes 4-6 individual pies, depending on your size dishes. Preheat your oven to 400 degrees. 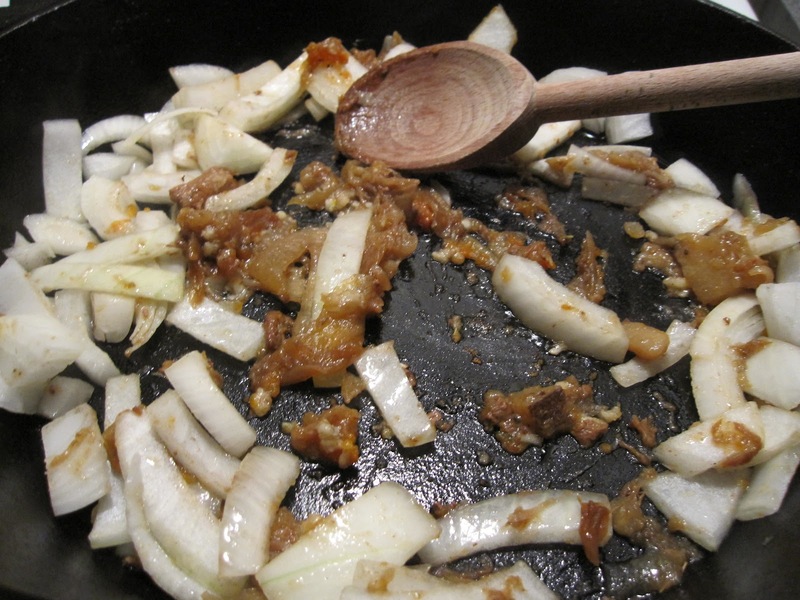 Lightly olive oil your pan or cast-iron skillet and start to saute your onion and minced garlic, just until starting to smell really beautiful. Like I was saying, if you happen to have any leftover bacon or roast drippings from a previous roast, go ahead and throw that in as well, it'll really flavor the onions nicely. 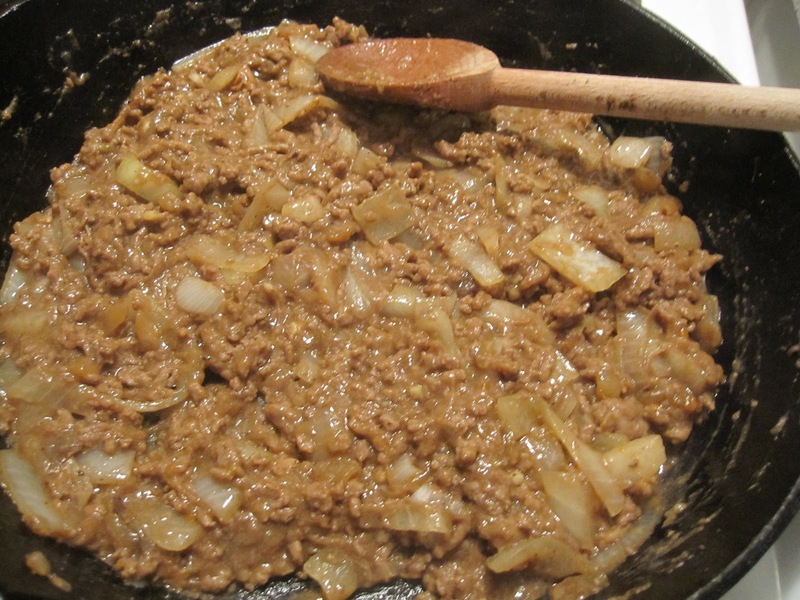 Once the onions are getting golden, add in your ground beef and any extra roast bits (if you have them) and start to brown it for about a minute. 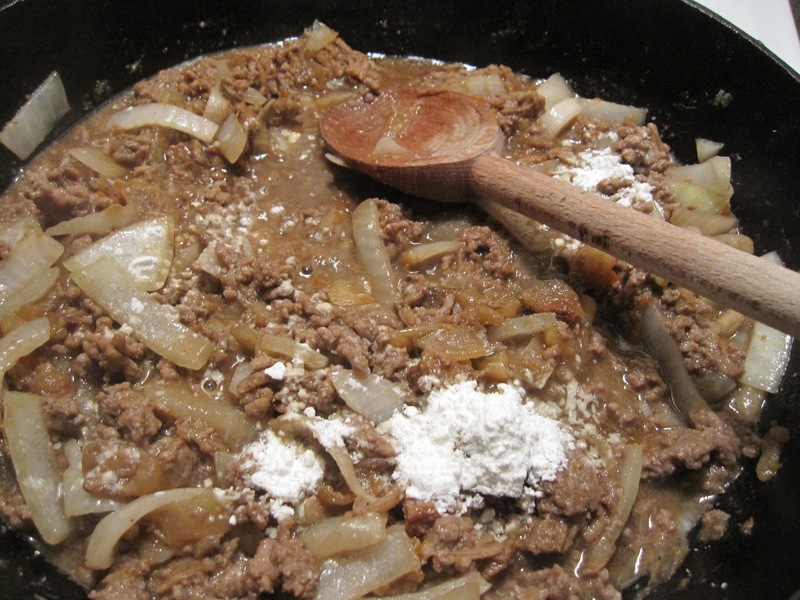 Make sure to press out the clumps with the back of your wooden spoon so that it all cooks evenly. Then add in your beef bouillon cube and about 1/3 cup water. 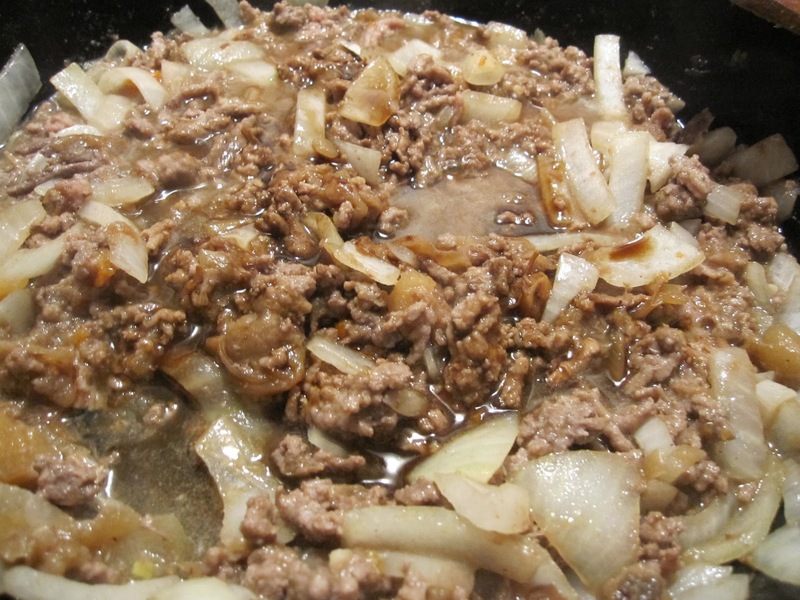 Press the bouillon cube with your spoon until it crumbles and then continue to let that mixture simmer on medium heat for another 3-4 minutes, stirring occasionally to ensure the meat is all cooking evenly. 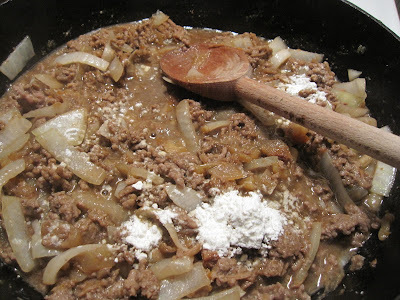 Once that's been simmering for a few more minutes, let's add in your cornstarch, dashing in a little at a time and stirring it in so you don't end up with clumpy gravy. Nothing's worse than clumpy gravy. Now your mixture is gonna start getting thick and inviting like a giant warm blanket. Look at those little dense beauties! Serve all on their own or with a little side of tomato sauce for a true Aussie experience. Encourage your dinner guests to just pick it up and sink their teeth in... it's so much more fun than using a fork or spoon. And if you're like James, you're gonna want to make some hearty homemade fries (chips) to dip in there. Few things in life taste more comforting than a gravy soaked chip. ENJOY. side note extra recipe... TARTS! "what do i do with this little extra bit of dough? i don't want to just throw it away..." Don't throw it away! 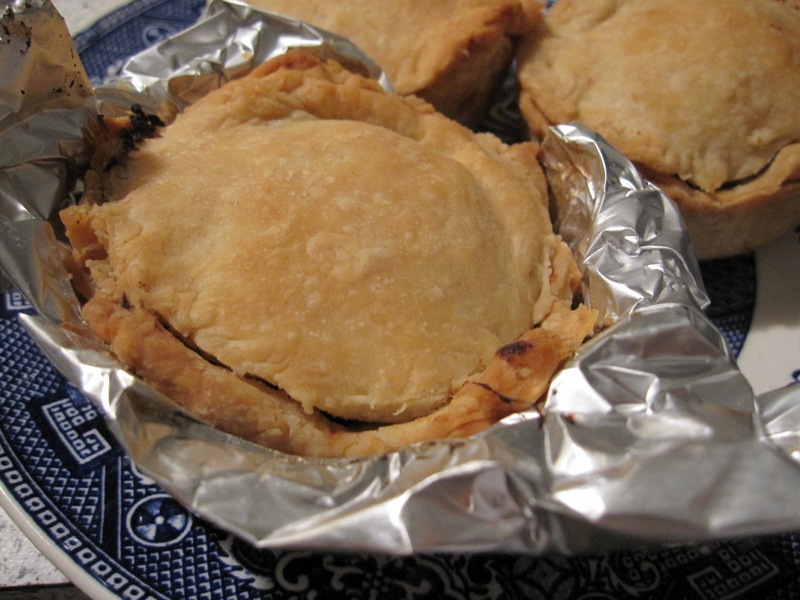 My mother always used to make these (and still does) with her extra dough.. whether it was apple pie crust dough, chicken pot pie crust dough, whatever, you knew there was gonna be tarts for a little side dessert, because they're just too darn easy and a perfect use of your extra scraps! 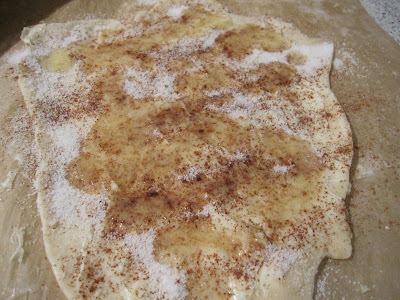 Roll your dough out thin, brush it with melted butter and top with cinnamon and sugar. 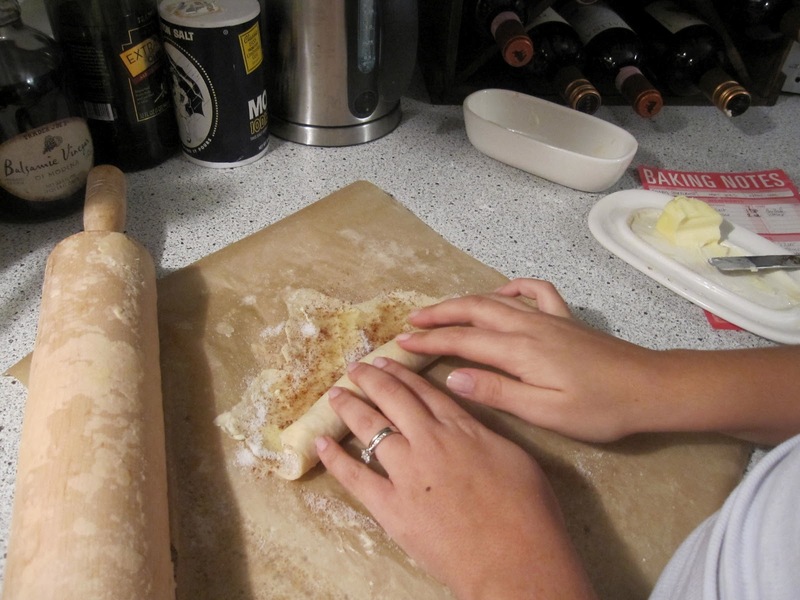 make sure to coat all the way to the edges! 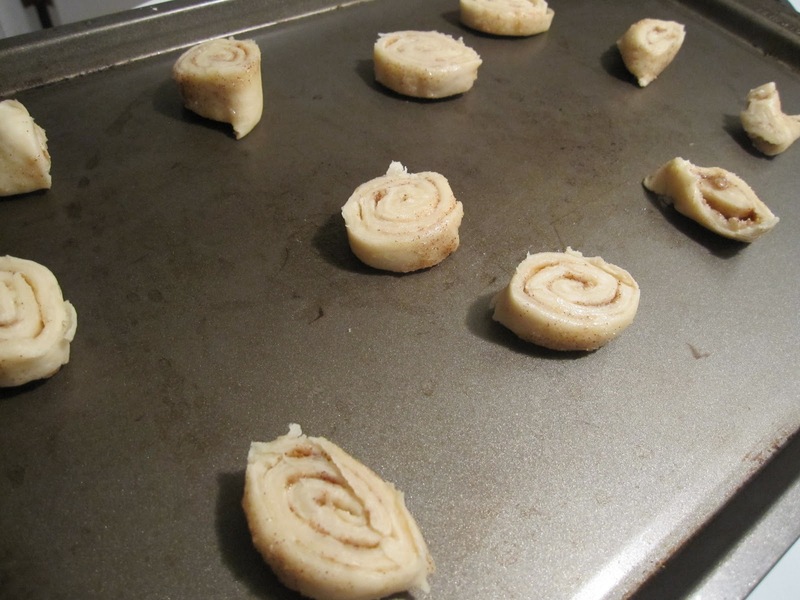 Roll it up, pinch the ends closed, place it on an ungreased baking sheet and cut it into roughly 3/4 inch slices. 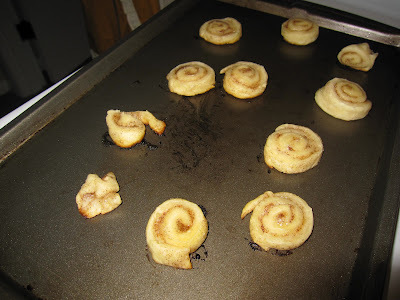 Lay them down on their sides, spaced apart. 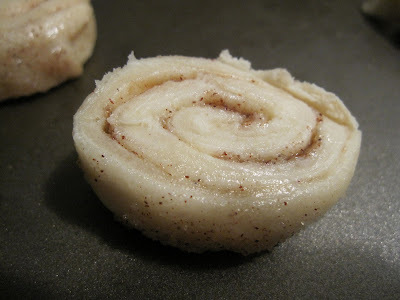 what a cute little petit cinnamon-y pinwheel! Now turn your oven down to 350 so they don't burn to a crisp and pop them in for 5-8 minutes. (it should already be really hot in there since you just baked pies) They should be golden and flaky when you take them out. Let them cool for about 5 minutes and then carefully remove them from the pan... just be gentle because they're fragile. Serve after dinner with some espresso or hot cinnamon tea. 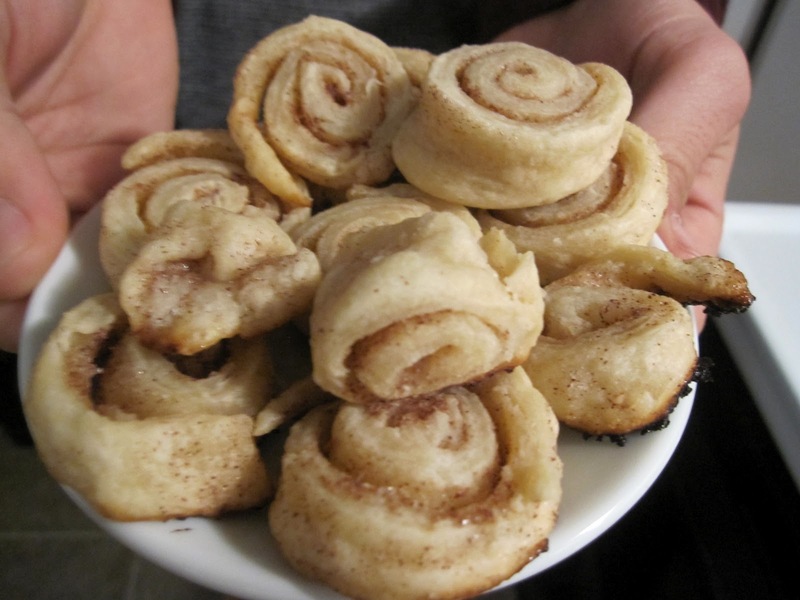 Careful, they're tiny and addicting. Always makes me hungry reading your blog. 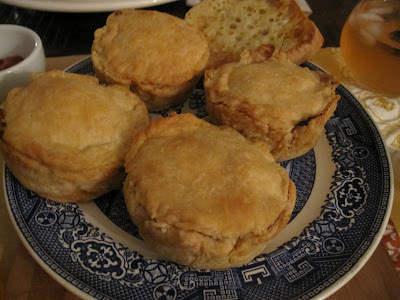 How well I remember our very first authentic Aussie Meat Pies on our first day in Sydney! 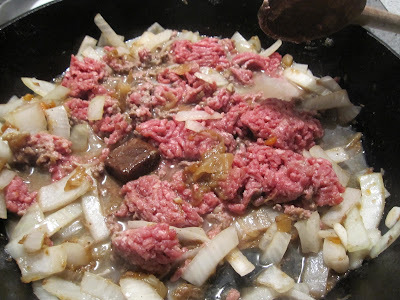 Looks perfect...I could almost smell the onions, garlic and olive oil.